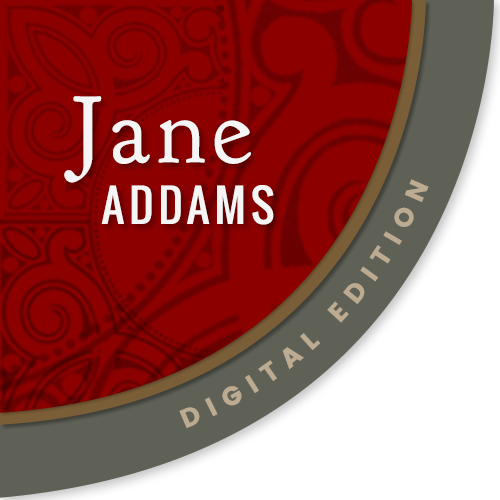 By JANE ADDAMS, A.M., L.L.B. SOME of us who have been for many years in what is called philanthropic work have been much impressed during the last decade with the fact that many of our activities are passing over into the hands of public servants. 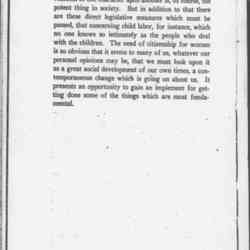 At the time of the Child Welfare Exhibit in Chicago a Committee tried to divide all of the activities on behalf of children into two portions; one included those which were carried on by the public, through officials, and the other included those which were carried on by philanthropic agencies as private charities. 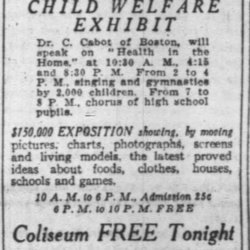 The public activities filled almost two-thirds of the Coliseum; there were whole classes of children from the public schools who, with discipline unbroken, went through their gymnastic exercises, bound books, cooked meals, cut clothes and did all sorts of things; there were the public libraries with the children's rooms, the museums with the children's exhibit, the public libraries with the children's rooms, the museums with the children's exhibits, the public hospitals with the children's wards, the health department with all of the things [page 2] that the public does on behalf of children's health and for the reduction of infant mortality. When we got together the agencies that were trying to promote child welfare in the city, more than two-thirds of them were paid for out of the public taxes. 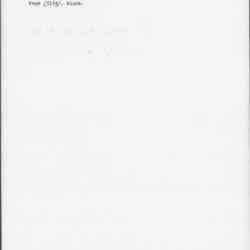 But when we trace back we find that almost all of these agencies, or at least a large portion, had been begun by private philanthropy. 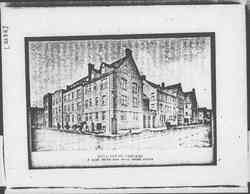 The kindergartens in the schools were a philanthropic enterprise. 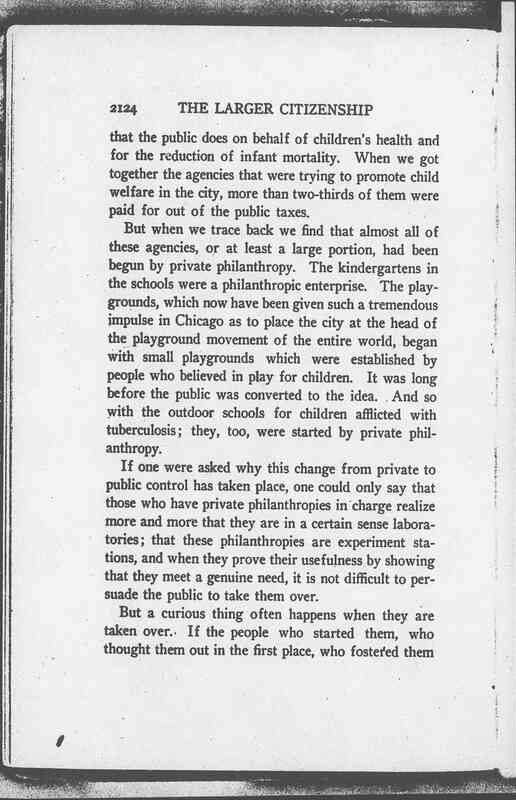 The playgrounds, which now have been given such a tremendous impulse in Chicago as to place the city at the head of the playground movement of the entire world, began with small playgrounds which were established by people who believed in play for children. It was long before the public was converted to the idea. 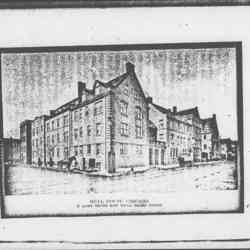 And so with the outdoor schools for children afflicted with tuberculosis; they, too, were started by private philanthropy. 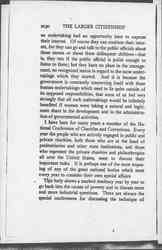 If one were asked why this change from private to public control has taken place, one could only say that those who have private philanthropies in charge realize more and more that they are in a certain sense laboratories; that these philanthropies are experiment stations, and when they prove their usefulness by showing that they meet a genuine need, it is not difficult to persuade the public to take them over. But a curious thing often happens when they are taken over. If the people who started them, who thought them out in the first place, who fostered them [page 3] and carried them along, happen to be women, they have no longer any direct part in them. And sometimes they are forced to stand by and see the things they have started being done very badly because they can no longer help. It is only natural that sometimes they should feel very much chagrined, not on their own account, but because these precious undertakings of theirs are not being understood and properly administered by the public officials who now have them in charge. Perhaps I could illustrate this with the Juvenile Court in Chicago. 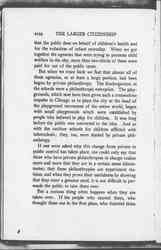 That was a growth to which a great many people in Chicago contributed. 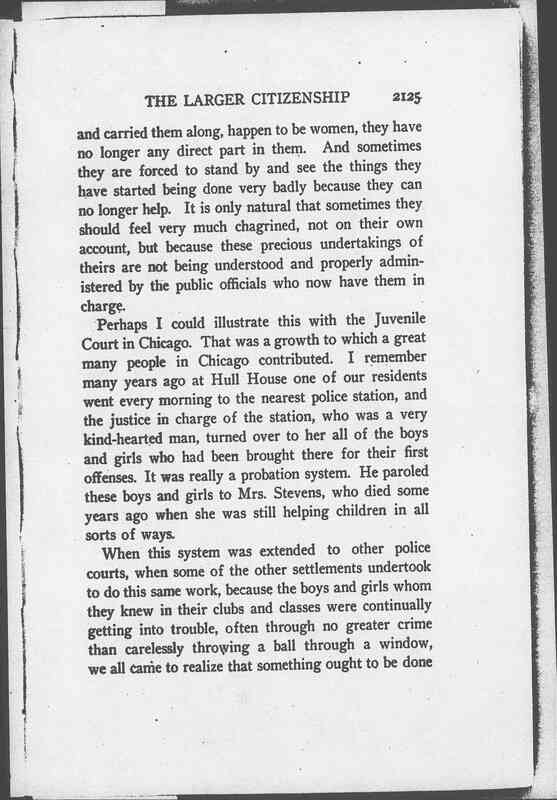 I remember many years ago at Hull House one of our residents went every morning to the nearest police station, and the justice in charge of the station, who was a very kind-hearted man, turned over to her all of the boys and girls who had been brought there for their first offenses. It was really a probation system. He paroled these boys and girls to Mrs. Stevens, who died some years ago when she was still helping children in all sorts of ways. When this system was extended to other police courts, when some of the other settlements undertook to do this same work, because the boys and girls whom they knew in their clubs and classes were continually getting into trouble, often through no greater crime than carelessly throwing a ball through a window, we all came to realize that something ought to be done [page 4] for these children on a much larger scale. 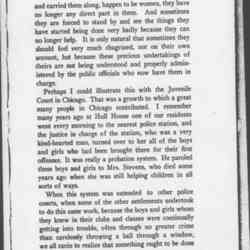 And that was one influence which brought about the Juvenile Court -- the conviction of many people that these boys and girls were badly taken care of in the ordinary police courts when they were tried in the run of the morning's work with all the "drunks" and the other people with whom a police court must deal. 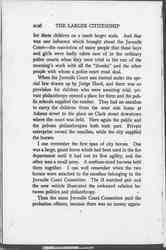 When the Juvenile Court was started under the special law drawn up by the Judge Hurd, and there was no provision for children who were awaiting trial, private philanthropy opened a place for them and the public schools supplied the teacher. 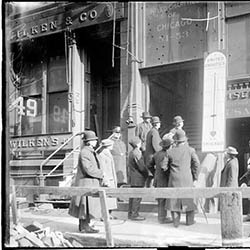 They had an omnibus to carry the children from the west side home at Adams street to the place on Clark street downtown where the court was held. Here again the public and the private philanthropies both took part. Private enterprise owned the omnibus, while the city supplied the horses. I can remember the first span of city horses. One was a large, gaunt horse which had been used in the fire department until it had lost its first agility, and the other was a small pony. A medium-sized harness held them together. 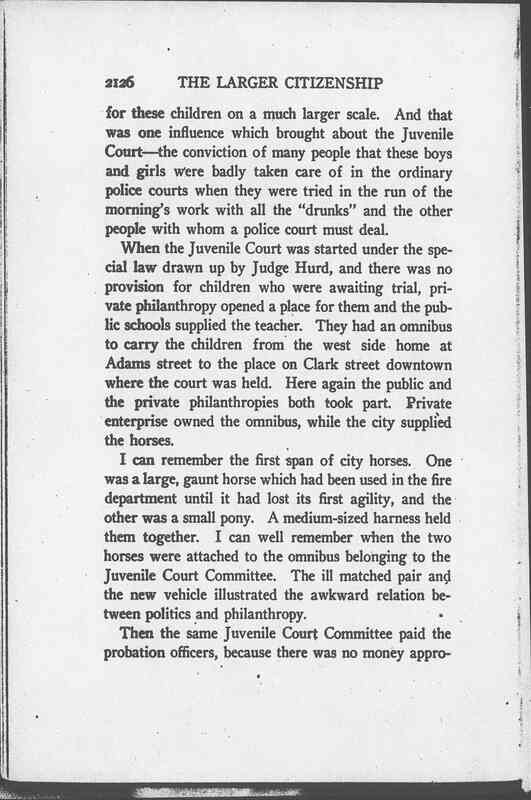 I can well remember when the two horses were attached to the omnibus belonging to the Juvenile Court Committee. The ill matched pair and the new vehicle illustrated the awkward relation between politics and philanthropy. 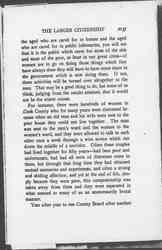 Then the same Juvenile Court Committee paid the probation officers, because there was no money appropriated [page 5] by the county, and for six years this committee of men and women (largely women) supplied the money to take care of the children. Gradually the matter was taken over by the country authorities. The probation officers became county officials under a well-established civil service system, although these same philanthropic workers for three different years, I think, helped set the questions and mark papers for their examinations. The transition came about very gradually. 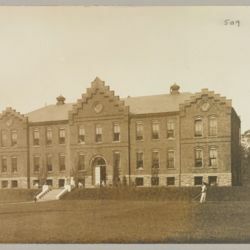 The Detention Home was built in connection with the court, and the children are now taken care of by the public funds, although philanthropy still has its hands on them. 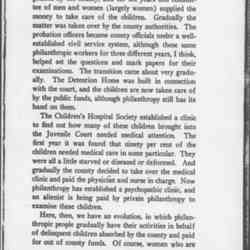 The Children's Hospital Society established a clinic to find out how many of these children brought into the Juvenile Court needed medical attention. 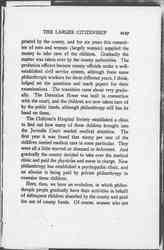 The first year it was found that ninety per cent of the children needed medical care in some particular. They were all a little starved or diseased or deformed. And gradually the county decided to take over the medical clinic and paid the physician and nurse in charge. 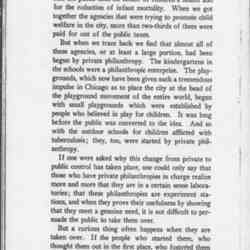 Now philanthropy has established a psychopathic clinic, and an alienist is being paid by private philanthropy to examine these children. 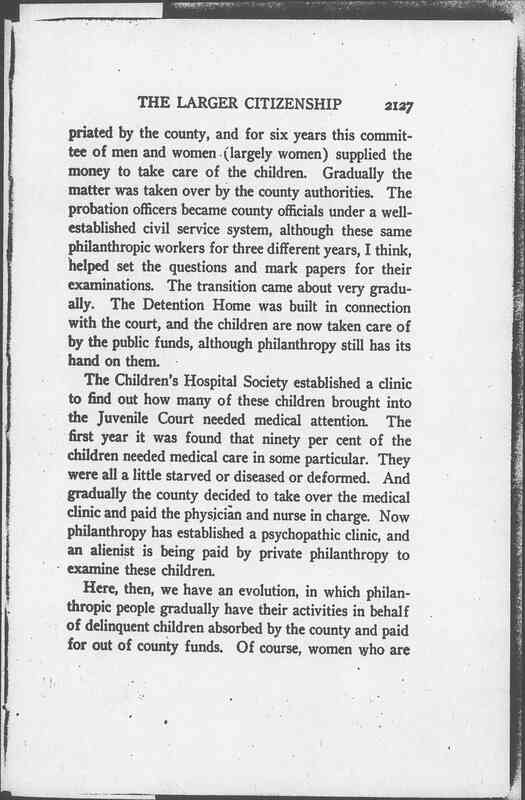 Here, then, we have an evolution, in which philanthropic people gradually have their activities in behalf of delinquent children absorbed by the county and paid for out of county funds. 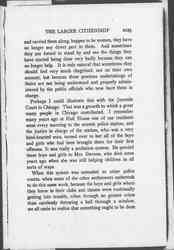 Of course, women who are [page 6] interested in these children are not more interested in the psychopathic feature, which is philanthropic, than they are in the medical clinic, which is political. They are not more interested in the children who are dependent and are sent to one of the homes, which is supported partly by public funds and partly by philanthropy, than they are in those children who are sent to the homes which are supported altogether by public funds. And there you are -- the whole thing absolutely mixed! I could take a dozen other illustrations the same way. One of the latest developments of the Juvenile Court has been the payment of mothers for the care of children. 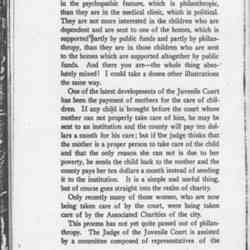 If any child is brought before the court whose mother can not properly take care of him, he may be sent to an institution and the county will pay ten dollars a month for his care; but if the judge thinks that the mother is a proper person to take care of the child and that the only reason she can not is due to her poverty, he sends the child back to the mother and the county pays her ten dollars a month instead of sending it to the institution. It is a simple and useful thing, but of course goes straight into the realm of charity. 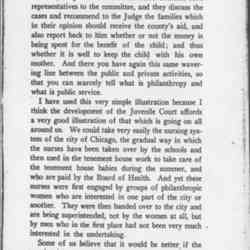 Only recently many of those women, who are now being taken care of by the court, were being taken care of by the Associated Charities of the city. This process has not yet quite passed out of philanthropy. 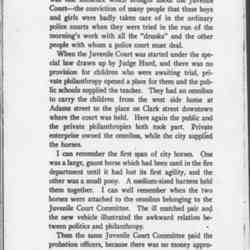 The Judge of the Juvenile Court is assisted by a committee composed of representatives of the [page 7] various philanthropic undertakings of the city. 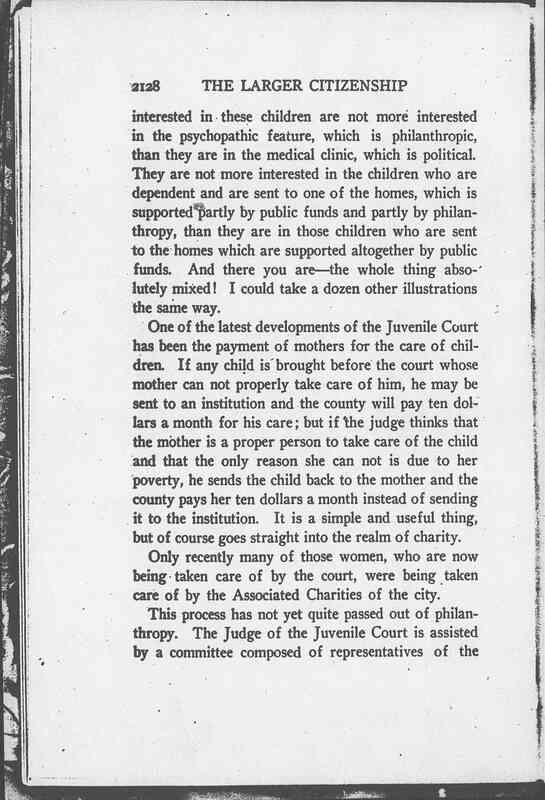 The Catholic, the Jewish and the Associated Charities send representatives to the committee, and they discuss the cases and recommend to the Judge the families which in their opinion should receive the county's aid, and also report back to him whether or not the money is being spent for the benefit of the child; and thus whether it is well to keep the child with his own mother. And there you have again this same wavering line between the public and private activities, so that you can scarcely tell what is philanthropy and what is public service. I have used this very simple illustration because I think the development of the Juvenile Court affords a very good illustration of that which is going on all around us. 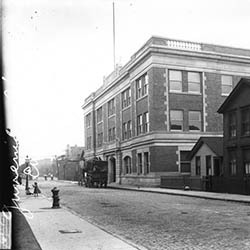 We could take very easily the nursing system of the city of Chicago, the gradual way in which the nurses have been taken over by the schools and then used in the tenement house work to take care of the tenement house babies during the summer, and who are paid by the Board of Health. 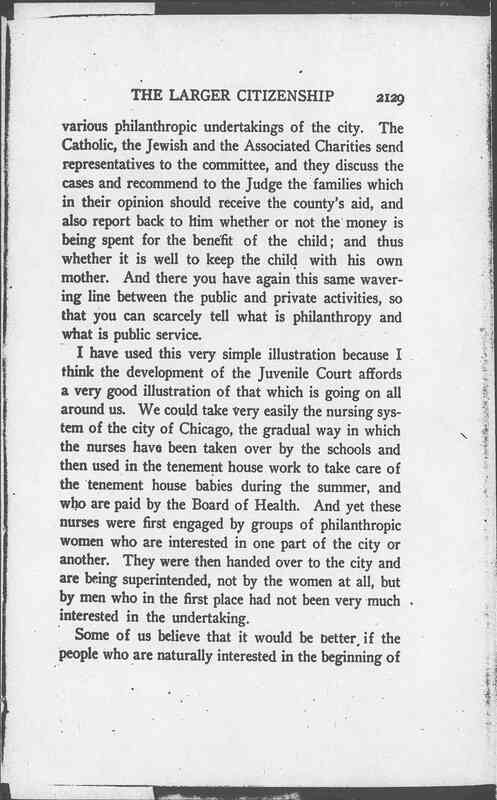 And yet these nurses were first engaged by groups of philanthropic women who are interested in one part of the city or another. They were then handed over to the city and are being superintended, not by the women at all, but by men who in the first place had not been very much interested in the undertaking. 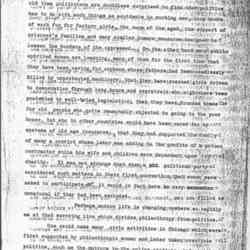 Some of us believe that it would be better if the people who are naturally interested in the beginning of [page 8] an undertaking had an opportunity later to express their interest. 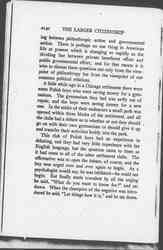 Of course they can continue their interest, for they can go and talk to the public officials about these nurses or about these delinquent children -- that is, they can if the public official is polite enough to listen to them; but they have no place in the management, no recognized status in regard to the same undertakings which they started. 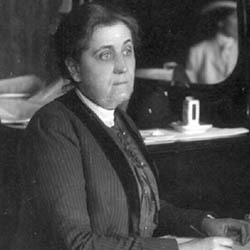 And it is because the government is constantly concerning itself with these human undertakings which used to lie quite outside of its supposed responsibilities, that some of us feel very strongly that all such undertakings would be infinitely benefited if women were taking a natural and legitimate share in the development and in the administration of governmental activities. I have been for many years a member of the National Conference of Charities and Corrections. 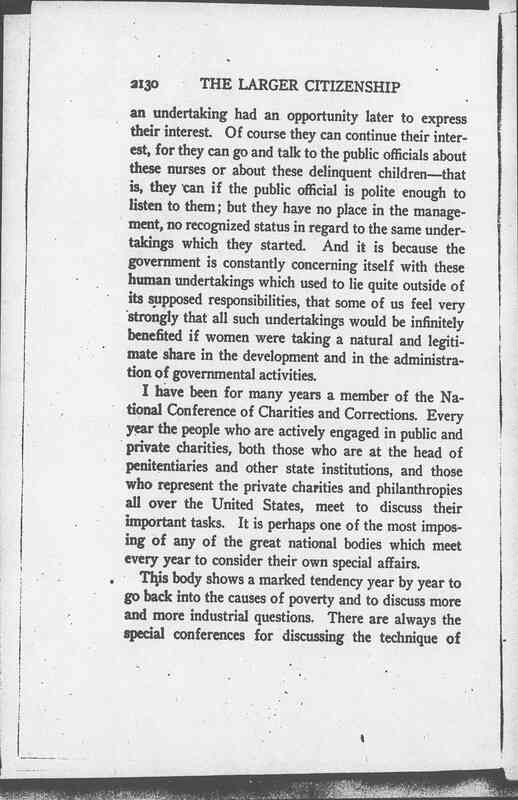 Every year the people who are actively engaged in public and private charities, both those who are at the head of penitentiaries and other state institutions, and those who represent the private charities and philanthropies all over the United States, meet to discuss their important tasks. It is perhaps one of the most imposing of any of the great national bodies which meet every year to consider their own special affairs. This body shows a marked tendency year by year to go back into the causes of poverty and to discuss more and more industrial questions. 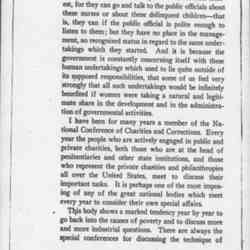 There are always the special conferences for discussing the technique of [page 9] prison administration, the best way of restoring a broken family, the best method of distributing outdoor relief; but when the conference meets as a whole in the great evening meetings one is impressed with the constant development of the discussion as to what has brought to the charitable people of the country so many beneficiaries; as to why are we taking care every year of so many hundreds of poor people? 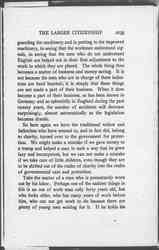 Some years ago we established what was called a Committee of Standards of Labor, and this committee tried to discover through the records of the various societies how people come to be poor. Why is this self-respecting American family, for example, a family that had been self-supporting on a farm only twenty years ago, here in a city asking charity? 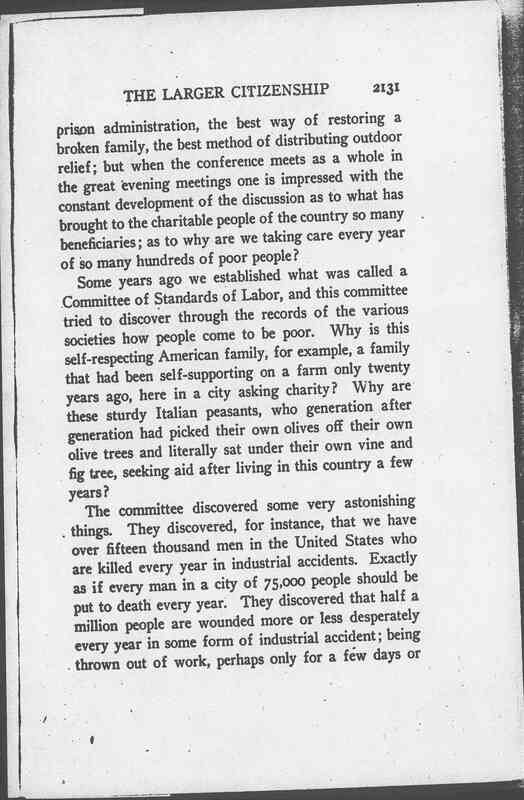 Why are these sturdy Italian peasants, who generation after generation had picked their own olives off their own olive trees and literally sat under their own vine and fig tree, seeking aid after living in this country a few years? The committee discovered some very astonishing things. 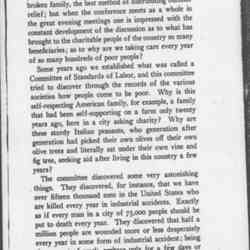 They discovered, for instance, that we have over fifteen thousand men in the United States who are killed every year in industrial accidents. Exactly as if every man in a city of 75,000 people should be put to death every year. 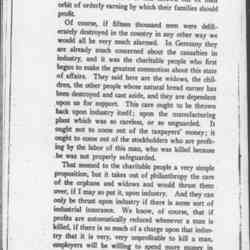 They discovered that half a million people are wounded more or less desperately every year in some form of industrial accident; being thrown out of work, perhaps only for a few days or [page 10] a few weeks, but more or less thrown out of their orbit of orderly earning by which their families should profit. Of course, if fifteen thousand men were deliberately destroyed in the country in any other way we would all be very much alarmed. 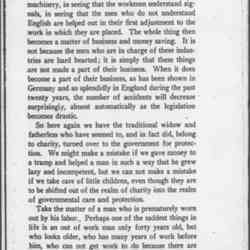 In Germany they are already much concerned about the casualties in industry, and it was the charitable people who first began to make the greatest commotion about this state of affairs. 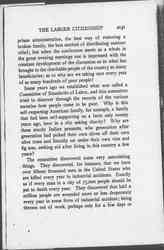 They said here are the widows, the children, the other people whose natural bread earner has been destroyed and cast aside, and they are dependent upon us for support. This care ought to be thrown back upon industry itself; upon the manufacturing plant which was so careless, or so unguarded. It ought not to come out of the taxpayers' money; it ought to come out of the stockholders who are profiting by the labor of this man, who was killed because he was not properly safeguarded. 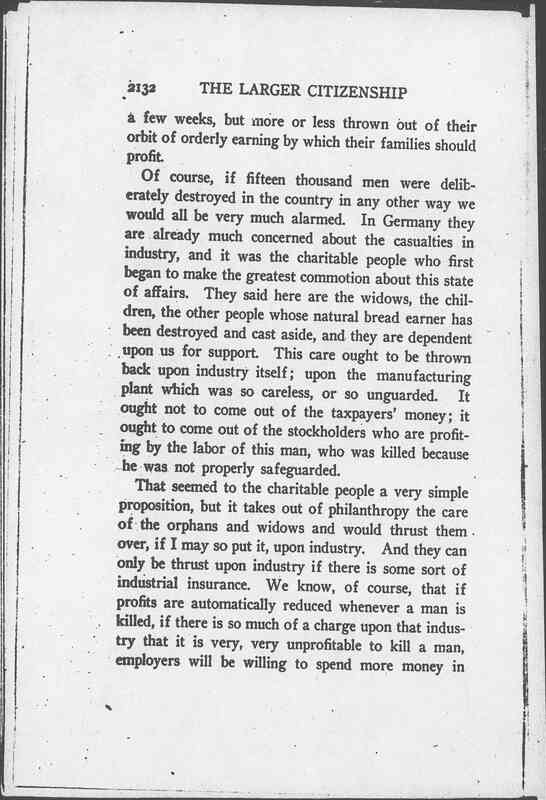 That seemed to the charitable people a very simple proposition, but it takes out of philanthropy the care of the orphans and widows and would thrust them over, if I may so put it, upon industry. And they can only be thrust upon industry if there is some sort of industrial insurance. 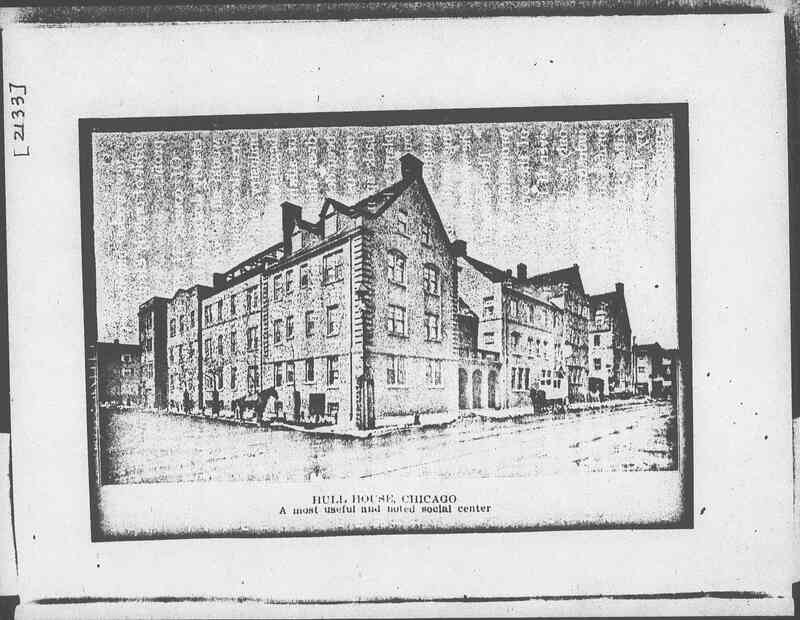 We know, of course, that if profits are automatically reduced whenever a man is killed, if there is so much of a charge upon that industry that it is very, very unprofitable to kill a man, employers will be willing to spend more money in [page 11] [image HULL HOUSE, CHICAGO A most useful and noted social center] [page 12] Page , blank. 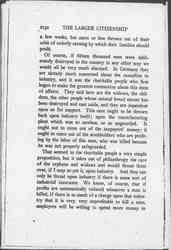 [page 13] guarding the machinery and in putting in the improved machinery, in seeing that the workmen understand signals, in seeing that the men who do not understand English are helped out in their first adjustment to the work in which they are placed. The whole thing then becomes a matter of business and money saving. It is not because the men who are in charge of these industries are hard hearted; it is simply that these things are not made a part of their business. When it does become a part of their business, as has been shown in Germany and so splendidly in England during the past twenty years, the number of accidents will decrease surprisingly, almost automatically as the legislation becomes drastic. So here again we have the traditional widow and fatherless who have seemed to, and in fact did, belong to charity, turned over to the government for protection. 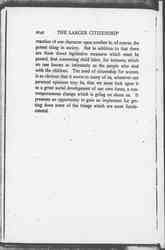 We might make a mistake if we gave money to a tramp and helped a man in such a way that he grew lazy and incompetent, but we can not make a mistake if we take care of little children, even though they are to be shifted out of the realm of charity into the realm of governmental care and protection. Take the matter of a man who is prematurely worn out by his labor. Perhaps one of the saddest things in life is an out of work man only forty years old, but who looks older, who has many years of work before him, who can not get work to do because there are plenty of young men waiting for it. If he holds his [page 14] job his age makes no difference. If he loses it his age is a handicap. 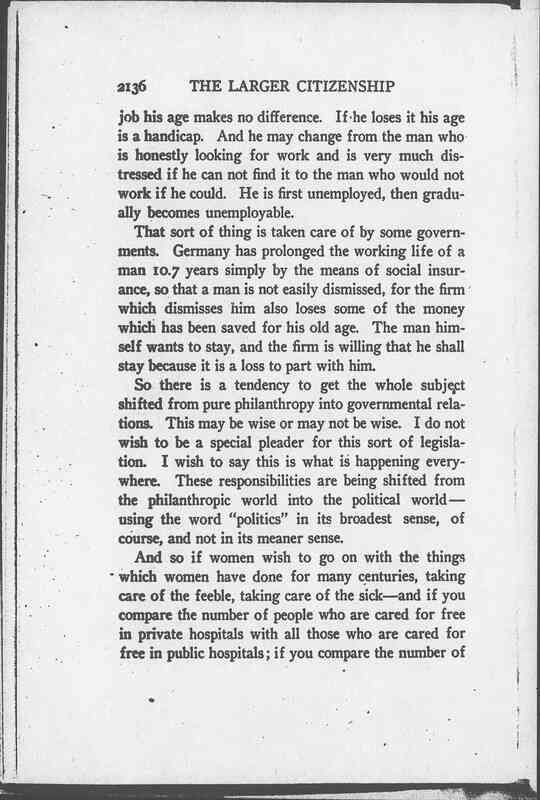 And he may change from the man who is honestly looking for work and is very much distressed if he can not find it to the man who would not work if he could. He is first unemployed, then gradually becomes unemployable. That sort of thing is taken care of by some governments. 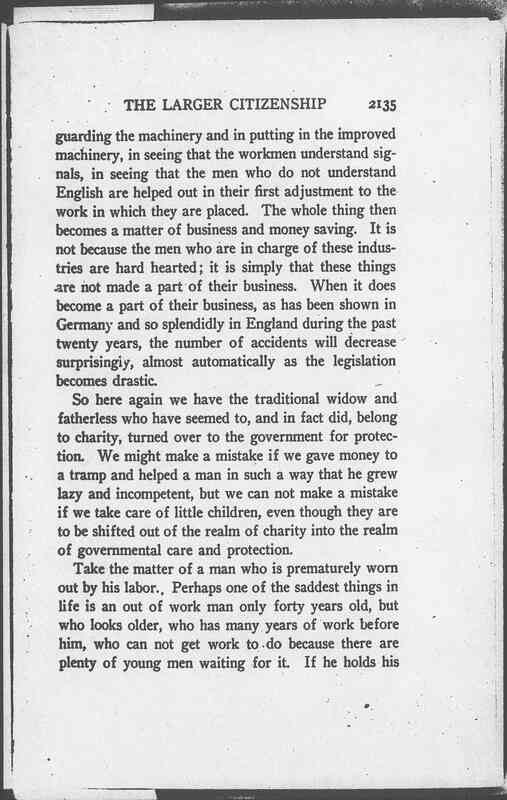 Germany has prolonged the working life of a man 10.7 years simply by the means of social insurance, so that a man is not easily dismissed, for the firm which dismisses him also loses some of the money which has been saved for his old age. 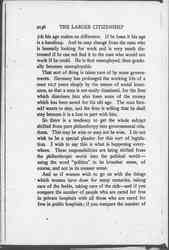 The man himself wants to stay, and the firm is willing that he shall stay because it is a loss to part with him. So there is a tendency to get the whole subject shifted from pure philanthropy into governmental relations. This may be wise or may not be wise. I do not wish to be a special pleader for this sort of legislation. I wish to say this is what is happening everywhere. These responsibilities are being shifted from the philanthropic world into the political world -- using the word "politics" in its broadest sense, of course, and not in its meaner sense. 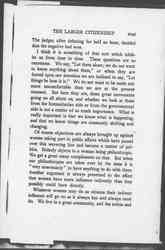 And so if women wish to go on with the things which women have done for many centuries, taking care of the feeble, taking care of the sick -- and if you compare the number of people who are cared for free in private hospitals with all those who are cared for free in public hospitals; if you compare the number of [page 15] the aged who are cared for in homes and the aged who are cared for in public infirmaries, you will see that it is the public which cares for most of the sick and most of the poor, at least in our great cities -- if women are to go on doing those things which they have always done they will have to have some share in the government which is now doing them. If not, these activities will be turned over altogether to the men. That may be a good thing to do, but some of us think, judging from the results attained, that it would not be the wisest course. 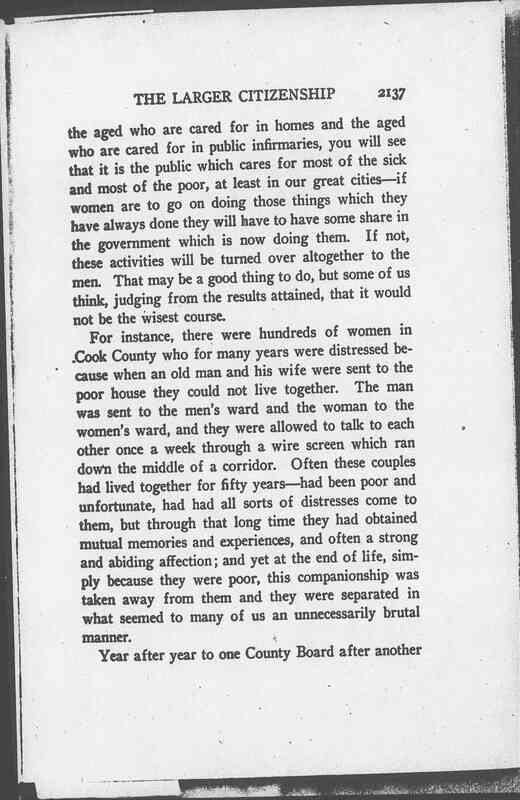 For instance, there were hundreds of women in Cook County who for many years were distressed because when an old man and his wife were sent to the poor house they could not live together. The man was sent to the men's ward and the woman to the women's ward, and they were allowed to talk to each other once a week through a wire screen which ran down the middle of a corridor. Often these couples had lived together for fifty years -- had been poor and unfortunate, had had all sorts of distresses come to them, but through that long time they had obtained mutual memories and experiences, and often a strong and abiding affection; and yet at the end of life, simply because they were poor, this companionship was taken away from them and they were separated in what seemed to many of us an unnecessarily brutal manner. 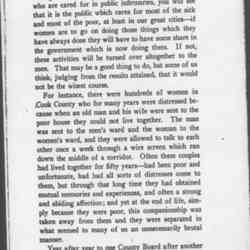 Year after year to one County Board after another [page 16] did women present this sad state of affairs, and over and over again they were told it could not be remedied because the building had been constructed that way. That which we call the finest thing in life, a sustained and beautiful affection, had no place in the scheme of things at Dunning. 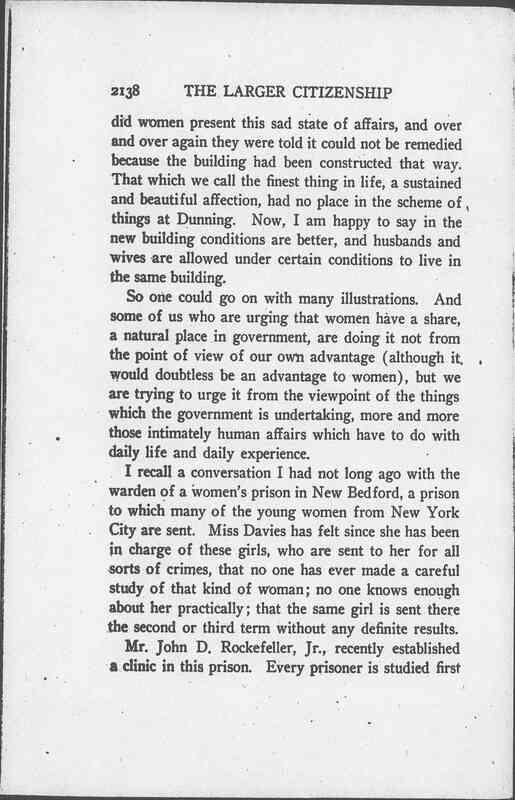 Now, I am happy to say in the new building conditions are better, and husbands and wives are allowed under certain conditions to live in the same building. So one could go on with many illustrations. 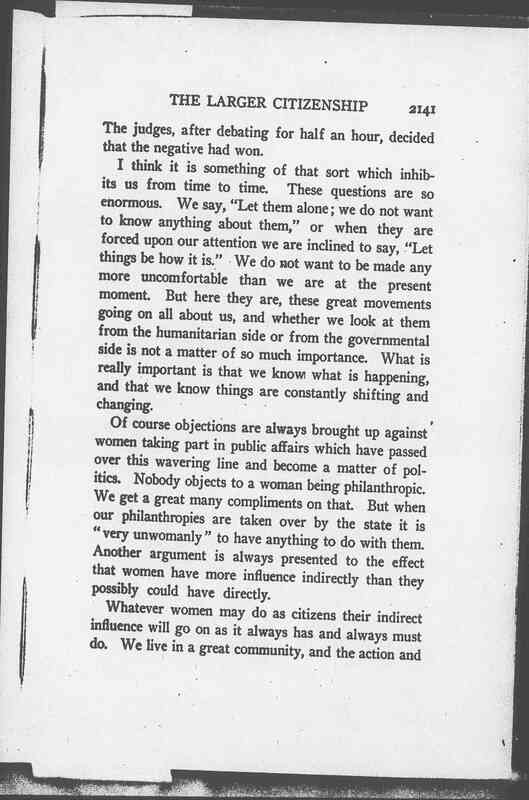 And some of us who are urging that women have a share, a natural place in government, are doing it not from the point of view of our own advantage (although it would doubtless be an advantage to women), but we are trying to urge it from the viewpoint of the things which the government is undertaking, more and more those intimately human affairs which have to do with daily life and daily experience. 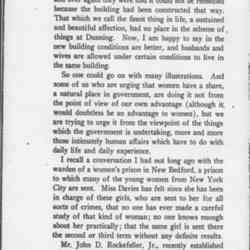 I recall a conversation I had not long ago with the warden of a women's prison in New Bedford, a prison to which many of the young women from New York City are sent. 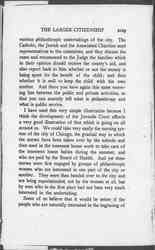 Miss Davies has felt since she has been in charge of these girls, who are sent to her for all sorts of crimes, that no one has ever made a careful study of that kind of woman; no one knows enough about her practically; that the same girl is sent there the second or third term without any definite results. 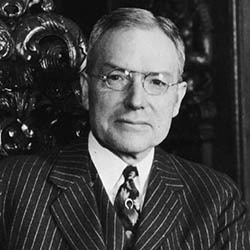 Mr. John D. Rockefeller, Jr., recently established a clinic in this prison. 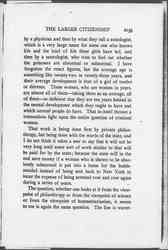 Every prisoner is studied first [page 17] by a physician and then by what they call a sociologist, which is a very large name for someone who knows life and the kind of life these girls have led, and then by a neurologist, who tries to find out whether the prisoners are abnormal or subnormal. I have forgotten the exact figures, but the average age is something like twenty-two or twenty-three years, and their average development is that of a girl of twelve or thirteen. These women, who are women in years, are almost all of them -- taking them as an average, all of them -- so deficient that they are ten years behind in the mental development which they ought to have and which normal people do have. 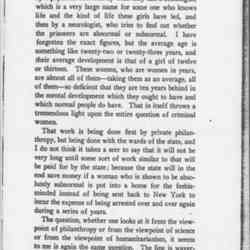 That in itself throws a tremendous light upon the entire question of criminal women. 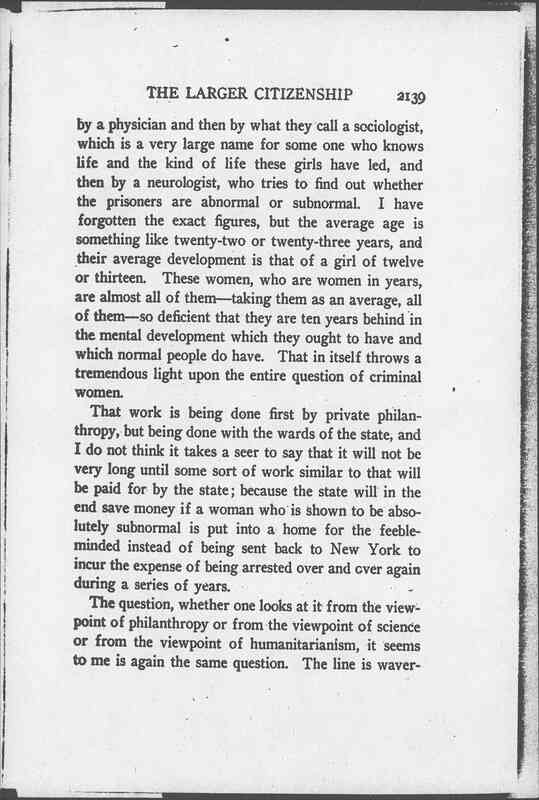 That work is being done first by private philanthropy, but being done with the wards of the state, and I do not think it takes a seer to say that it will not be very long until some sort of work similar to that will be paid for by the state; because the state will in the end save money if a woman who is shown to be absolutely subnormal is put into a home for the feeble-minded instead of being sent back to New York to incur the expense of being arrested over and over again during a series of years. The question, whether one looks at it from the viewpoint of philanthropy or from the viewpoint of science or from the viewpoint of humanitarianism, it seems to me is again the same question. The line is wavering [page 18] between philanthropic action and governmental action. 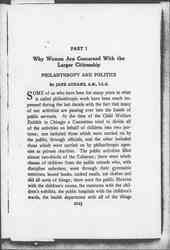 There is perhaps no one thing in American life at present which is changing so rapidly as the dividing line between private beneficent effort and public governmental effort; and for that reason it is wise to discuss these questions not only from the viewpoint of philanthropy but from the viewpoint of our common political relations. 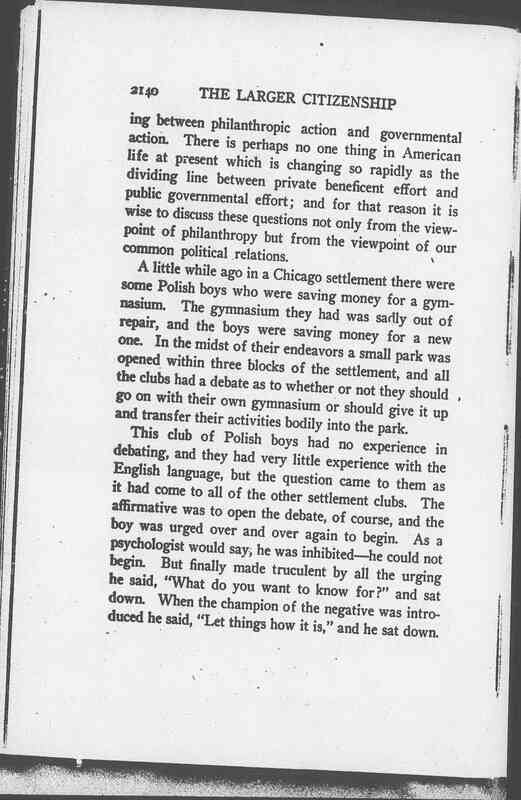 A little while ago in a Chicago settlement there were some Polish boys who were saving money for a gymnasium. The gymnasium they had was sadly out of repair, and the boys were saving money for a new one. In the midst of their endeavors a small park was opened within three blocks of the settlement, and all the clubs had a debate as to whether or not they should go on with their own gymnasium or should give it up and transfer their activities bodily into the park. 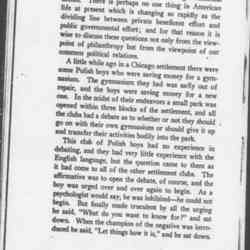 This club of Polish boys had no experience in debating, and they had very little experience with the English language, but the question came to them as it had come to all of the other settlement clubs. The affirmative was to open the debate, of course, and the boy was urged over and over again to begin. As a psychologist would say, he was inhibited -- he could not begin. 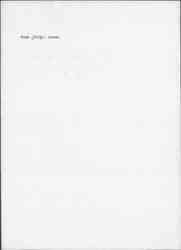 But finally made truculent by all the urging he said, "What do you want to know for?" and sat down. When the champion of the negative was introduced he said, "Let things how it is," and he sat down. 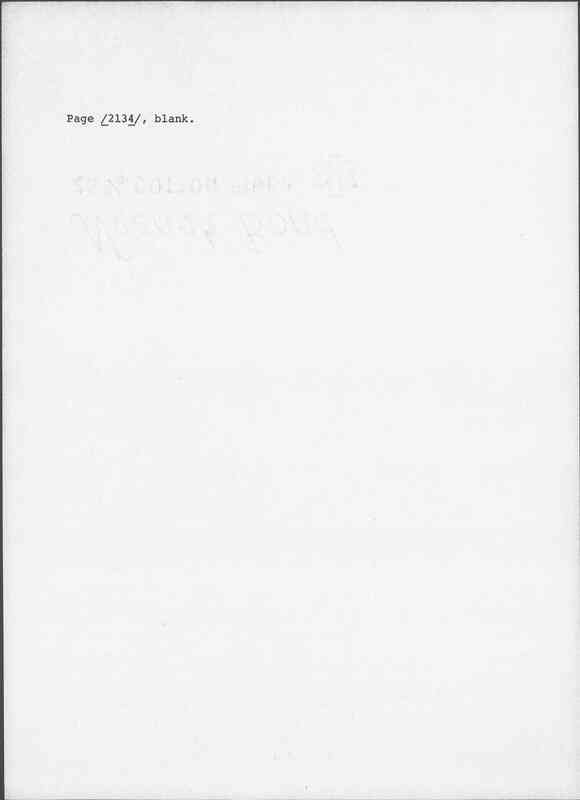 [page 19] The judges, after debating for half an hour, decided that the negative had won. I think it is something of that sort which inhibits us from time to time. These questions are so enormous. We say, "Let them alone; we do not want to know anything about them," or when they are forced upon our attention we are inclined to say, "Let things be how it is." We do not want to be made any more uncomfortable than we are at the present moment. But here they are, these great movements going on all about us, and whether we look at them from the humanitarian side or from the governmental side is not a matter of so much importance. What is really important is that we know what is happening, and that we know things are constantly shifting and changing. 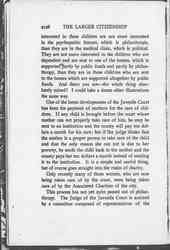 Of course objections are always brought up against women taking part in public affairs which have passed over this wavering line and become a matter of politics. Nobody objects to a woman being philanthropic. We get a great many compliments on that. 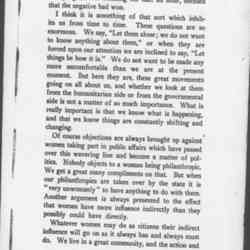 But when our philanthropies are taken over by the state it is "very unwomanly" to have anything to do with them. Another argument is always presented to the effect that women have more influence indirectly than they possibly could have directly. 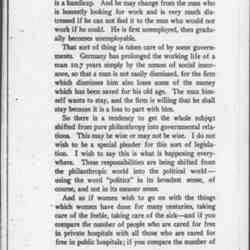 Whatever women may do as citizens their indirect influence will go on as it always has and always must do. We live in a great community, and the action and [page 20] reaction of one character upon another is, of course, the potent thing in society. 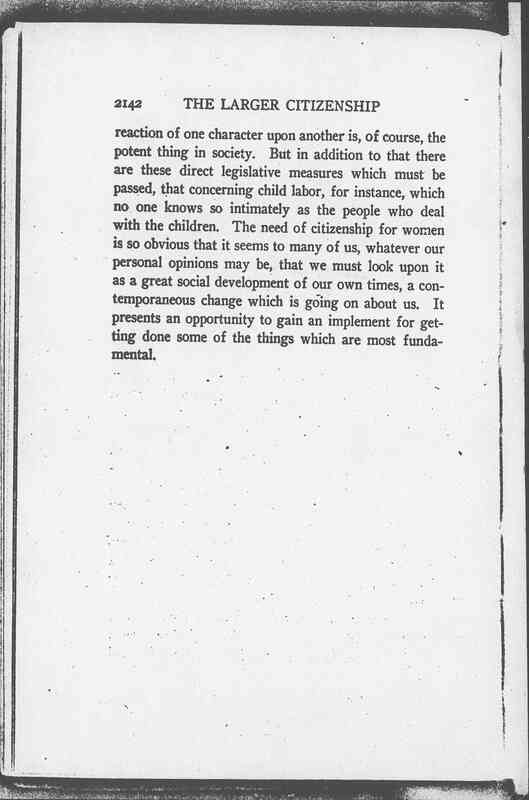 But in addition to that there are these direct legislative measures which must be passed, that concerning child labor, for instance, which no one knows so intimately as the people who deal with the children. 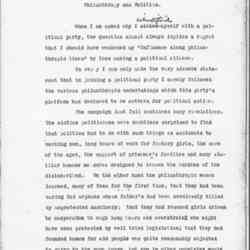 The need of citizenship for women is so obvious that it seems to many of us, whatever our personal opinions may be, that we must look upon it as a great social development of our own times, a contemporaneous change which is going on about us. It presents an opportunity to gain an implement for getting done some of the things which are most fundamental. 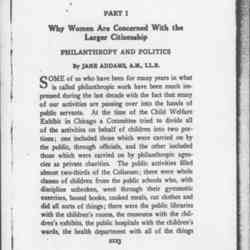 Why Women are Concerned with the Larger Citizenship, in Shailer Mathews, ed., Woman and the Larger Citizenship, Vol. 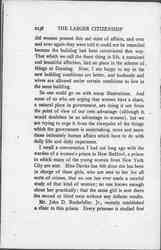 9 in Woman Citizen's Library (Chicago: Civis Society: 1913): 2123-42. 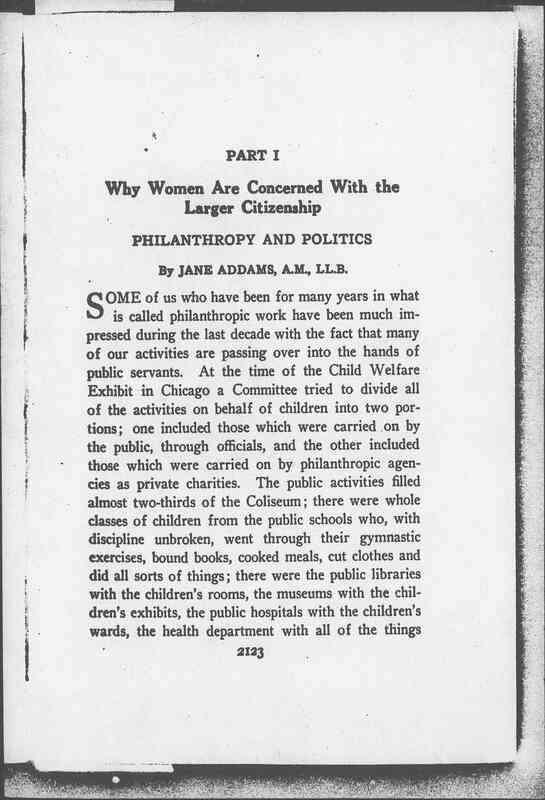 Addams, Jane, “Why Women Are Concerned with the Larger Citizenship: Philanthropy and Politics, 1913,” Jane Addams Digital Edition, accessed April 22, 2019, https://digital.janeaddams.ramapo.edu/items/show/8953.